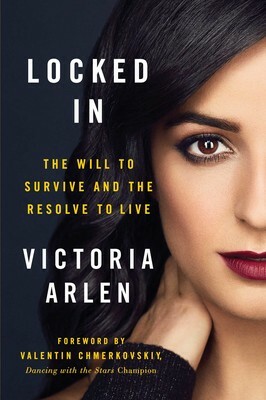 Victoria Arlen has faced many steep mountains in her life, most of them without the use of her legs. Today 24-year-old Arlen is a well-known ESPN anchor and reporter, who also achieved fame as a semi-finalist on Dancing with the Stars, and won Gold as a swimmer in the Paralympics. But those accomplishments pale in comparison to her miraculous and arduous recovery from a severe combination of two neurological disorders that struck when she was just 11 years old, leaving her mostly paralyzed, and unable to speak, eat, or talk. Arlen spent four years locked in a vegetative state, suffering chronic seizures and yet hearing every word her doctors said, as they wrote her off as a lost cause. Though his recent celebrity is the result of his guiding the Warriors to three tiles in four years as head coach, Kerr is himself a five-time NBA champion player, having won three championship rings with the Chicago Bulls (1996-98) and two more with the San Antonio Spurs (1999, 2003).Kerr was born in Beirut, Lebanon, and spent much of his childhood there. In 1984, his father, Malcolm, 52, was serving as the President of the American University of Beirut when he was assassinated by Islamic Jihad. Steve was 18 at the time, attending the University of Arizona as a freshman. 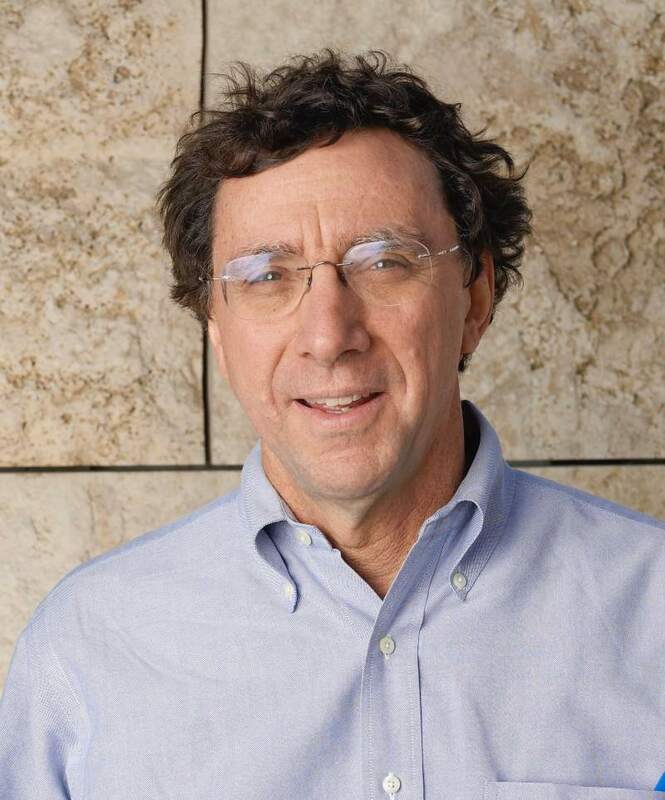 Scott Simon, for many years the host of National Public Radio’s “Weekend Edition Saturday,” will be the guest on Aug. 13 of the next Sonoma Speaker Series presentation at Hanna Boys Center. The 63-year-old author, journalist and radio and television host is a native of Chicago, where he started his NPR career as a bureau chief in 1977. His Saturday morning program has an estimated audience of four million, making it the most listened-to program on NPR, according to his website. John McChesney, a longtime NPR reporter and co-founder of the Sonoma Speakers Series, died Tuesday night at his home on Sonoma Mountain, surrounded by family members. He was 78. According to sources, he was diagnosed with leukemia late last year, and given a limited time to live even if he underwent chemotherapy. McChesney did undergo the treatment, but it didn’t improve his condition, said fellow NPR veteran Alex Chadwick, a 40-year friend and colleague. On Sunday, June 4, the day prior to the most recent Sonoma Speaker Series event with Daniel Ellsberg, McChesney was taken to Kaiser Hospital with a high fever. He was released earlier this week for palliative care and hospice. “My heart goes out to Wendy,” said friend and Sonoma Speaker Series cofounder Kathy Witkowicki. Wendy von Wiederhold and McChesney joined Witkowicki and Chadwick in founding the speaker series in 2016. Since 2016, the series has brought a number of increasingly high-profile guests to Sonoma for exclusive “conversations,” usually at the Hanna Boys Center. Recent speakers have included gay activist Cleve Jones, journalist Bill Keller, former intelligence officer James Clapper and, this past Monday, Daniel Ellsberg, the Nixon-era government insider who famously leaked the Pentagon Papers to the press. 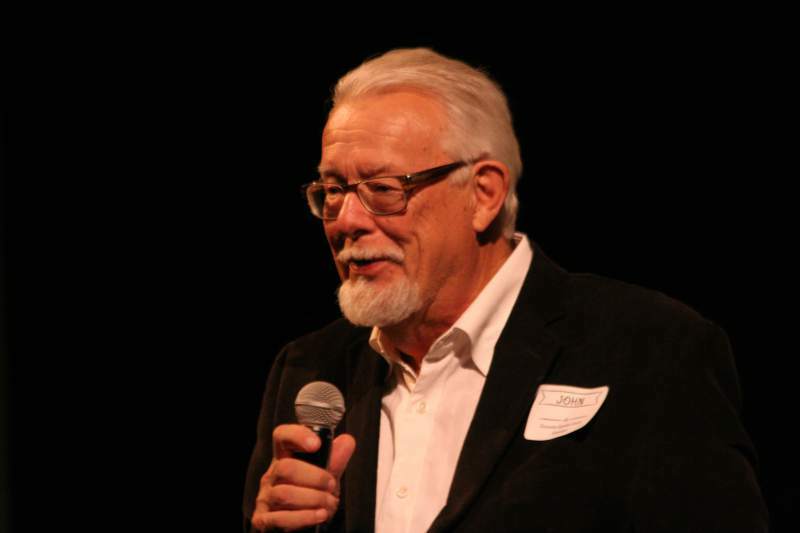 John McChesney, a long-time NPR reporter and co-founder of the Sonoma Speakers Series, died at 10 p.m. last night at his home in Sonoma, surrounded by family members. McChesney and his wife Wendy von Wiederhold had spent the last few years residing in the home on Sonoma Mountain. According to sources, he was diagnosed with leukemia late last year, and given a limited time to live even if he underwent chemotherapy. McChesney did undergo the treatment, but it didn’t improve his condition, said Alex Chadwick, a 40-year friend and colleague. On Sunday, June 4, the day prior to the most recent Sonoma Speakers Series event with Daniel Ellsberg, McChesney was taken to Kaiser Hospital with a high fever. He was released earlier this week for palliative care and hospice. “My heart goes out to Wendy,” said friend and Sonoma Speaker Series cofounder Kathy Witkowicki. Wendy von Wiederhold and McChesney joined Witkowicki and Chadwick in founding the speakers series in 2016. Since 2016, the series has brought a number of increasingly high-profile guests to Sonoma for exclusive “conversations,” usually at the Hanna Boys Center. Recent speakers have included gay activist Cleve Jones, journalist Bill Keller, former intelligence officer James Clapper and, just Monday, Daniel Ellsberg. “He was a dear old friend of mine,” said Chadwick. Additional information and announcements are expected from the family shortly. Before Julian Assange, before Edward Snowden, before Chelsea Manning, there was Daniel Ellsberg. It’s a name many of us have heard all our lives, first as a shadowy defense department consultant who spilled the beans on the U.S. government’s decades of lying about Vietnam, then as poster boy in a landmark Supreme Court case on freedom of the press, and more recently as a critic of the very nuclear policy he helped craft, over 50 years ago. 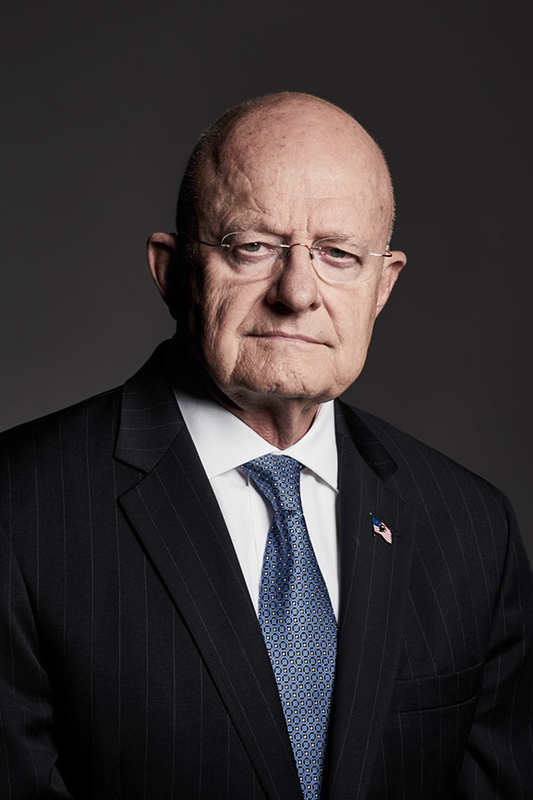 But most of all, he’s the man who brought down Richard Nixon – albeit not directly. 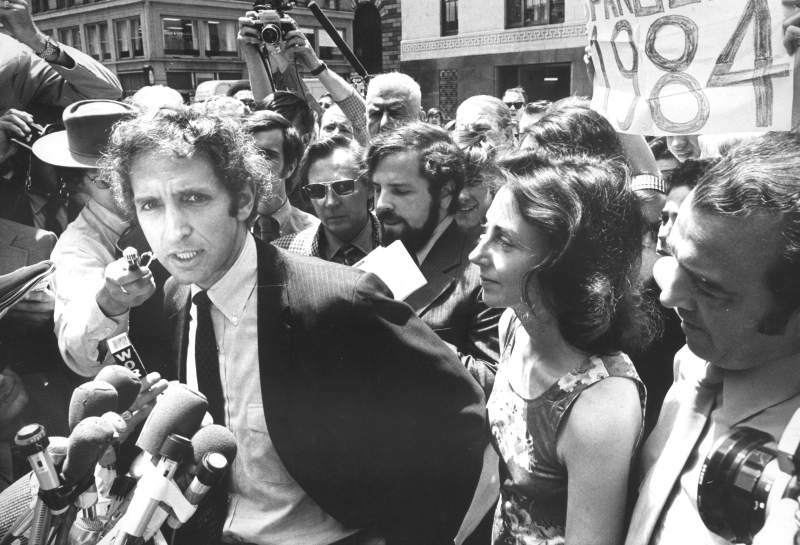 Instead his release of the top-secret “Pentagon Papers” led to a federal indictment on espionage, which in turn led to Nixon’s hand-picked crew of dirty tricks operatives known as the Plumbers breaking into Ellsberg’s psychiatrist’s office in search of incriminating evidence. 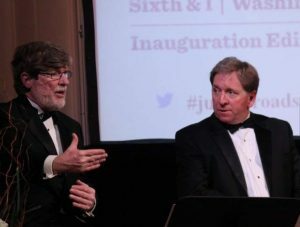 They didn’t find much of use, but the Plumbers continued their illicit investigations at the Watergate Hotel a few months later, where they were interrupted in mid-theft and arrested. One thing led to another, and despite his comfortable re-election in 1972, Nixon resigned from office in August, 1974, thereby avoiding pending impeachment. It was Henry Kissinger’s fear of what else Ellsberg may have had in hand that led him to call him “the most dangerous man in America,” a phrase that became the title of a 2009 documentary on Ellsberg and the Pentagon Papers. All of which gives Ellsberg the catbird seat on some of the most important political events of the 20th century, and with it a rare perspective on the current state of political crisis. 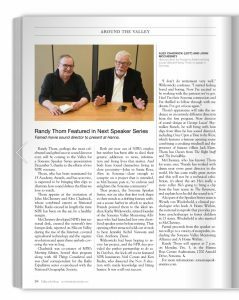 He’ll be speaking in Sonoma next Monday, June 4, the latest of the Sonoma Speakers Series parade of guest lecturers. 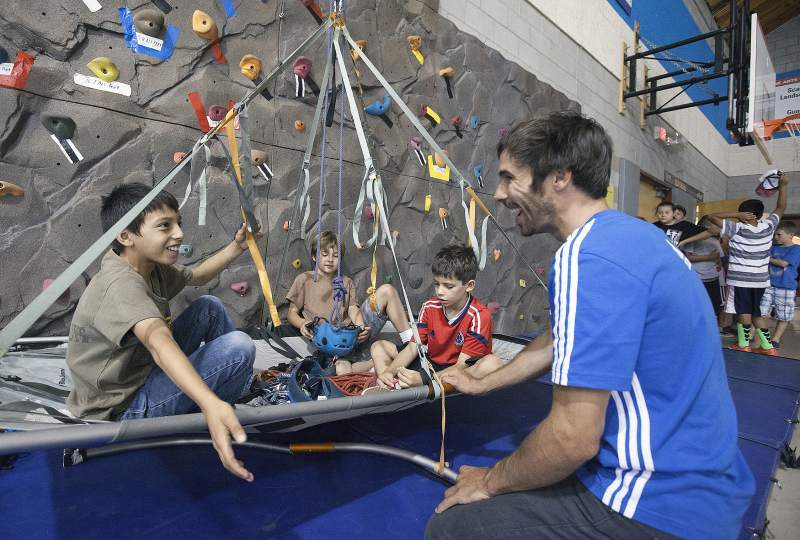 When Kevin Jorgeson climbs the stage for his Sonoma Speaker Series appearance on April 2, it will be a much easier climb that the one that got him there – a 19-day effort on one of the most difficult routes on Yosemite’s El Capitan, the Dawn Wall, with teammate Tommy Caldwell. Since that time, Jorgeson and Caldwell have leveraged the climb’s success in a number of ways, most recently with the screening of the documentary “The Dawn Wall” at Austin’s South by Southwest Film Festival last month. It won the Audience Favorite award (and is currently rated 100 percent, based on six reviews, on Rotten Tomatoes). The film was as much the point of the climb as the other way around, as directors Peter Mortimer and Josh Lowell have been involved in the effort from since 2009, when Caldwell first began working out the pitches. 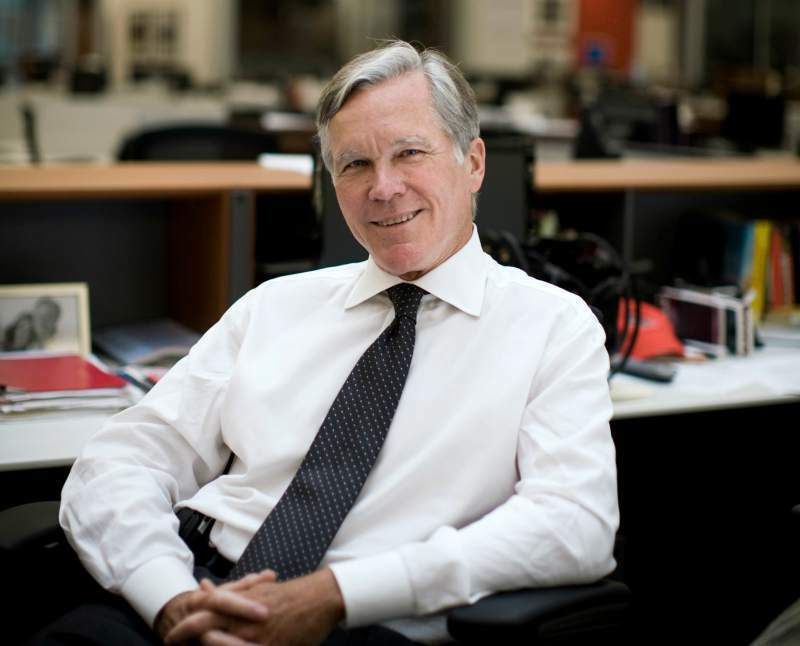 The week after Donald Trump was elected president, Pulitzer Prize-winning journalist Bill Keller was invited to give a talk to the staff at WNYC radio in New York. As he understood it, his role was to be a “Dr. Phil” of sorts for the demoralized young journalists who worked at the station. But, while he was surprised himself at the election results, Keller had an upbeat take on the election and gave the reporters a bit of tough love. Now, a year into President Trump’s term, Keller stands by this take. 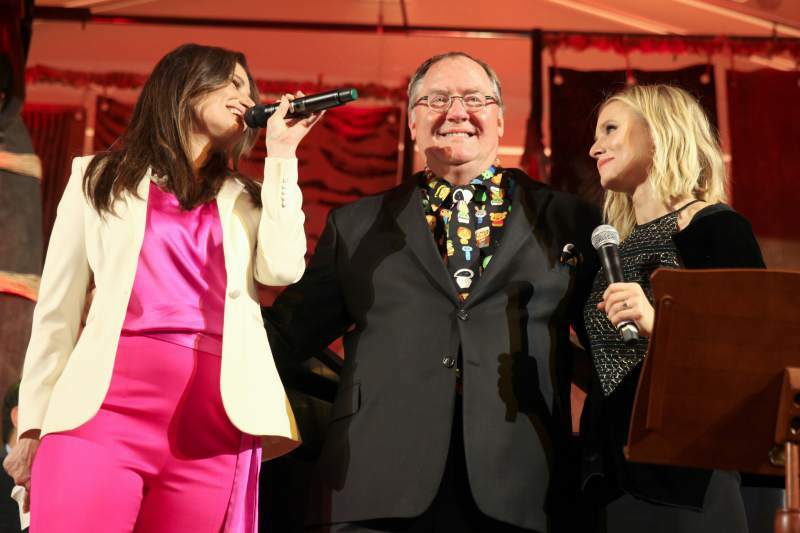 John Lasseter, scheduled to be the guest at the seventh Sonoma Speakers Series discussion on Dec. 4 at Hanna Boys Center, has withdrawn from the event, according to John McChesney. The withdrawal was a blow to the Sonoma Speakers Series, which had announced its first-ever sold-out event two weeks in advance of Lasseter’s scheduled appearance. McChesney said they were hoping Pixar could produce a replacement for the animation legend, who has taken a six-month “leave of absence” from Disney/Pixar following a Nov. 21 article in the Hollywood Reporter detailing inappropriate conduct. MChesney confirmed on Friday, Nov. 24, that the event had been cancelled and all tickets would be refunded next week. 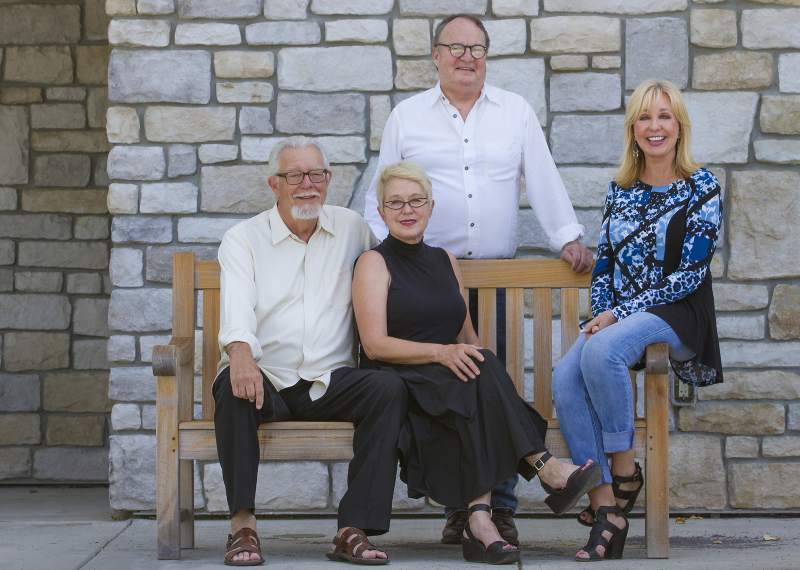 Lasseter, who lives in Glen Ellen with his wife Nancy on an estate that escaped major damage in the Nuns Fire last month, has been a frequent supporter of film in the Sonoma Valley since 1995, when he premiered “Toy Story” at the Sebastiani Theatre. Among his other films are “A Bug’s Life” (1998), “Finding Nemo” (2003), “Ratatouille” (2007), and the “Cars” series that began in 2006. He is a two-time Oscar winner and six-time nominee. He was employed briefly by Disney Studios in the late 1970s, but after he was fired formed a partnership with Lucasfilm that eventually led to the formation of Pixar Graphics Group in 1984, under majority shareholder Steve Jobs. 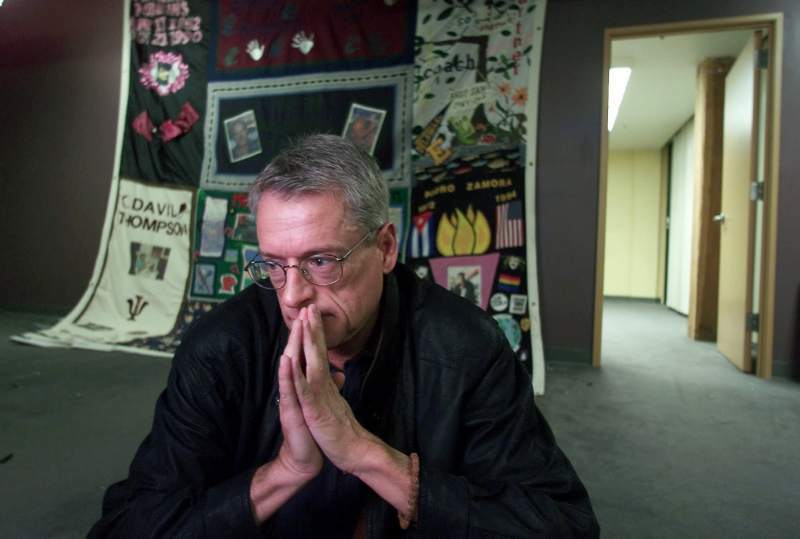 Among a certain segment of the politically-engaged population, the name Cleve Jones ranks up there with Rosa Parks, Cesar Chavez and, especially, Harvey Milk. In fact it was Milk who, in the 1970s, was often credited with bringing Jones – then a fun-loving 20-year-old who was having the time of his life in San Francisco’s Castro District – into the gay rights movement. Jones is the author of “When We Rise,” a memoir of his life – much of it in the gay rights movement, but not all. In fact the book is compelling because of the universality of the story, taking place as it does between the 1970s and the present day, the lifespan of a generation. “That’s one of my favorite passages in the whole book,” said Jones, during a conversation last week with the Index-Tribune. 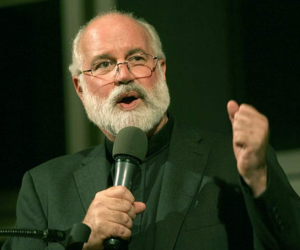 Jones will be featured at the next Sonoma Speakers series event on Oct. 2. 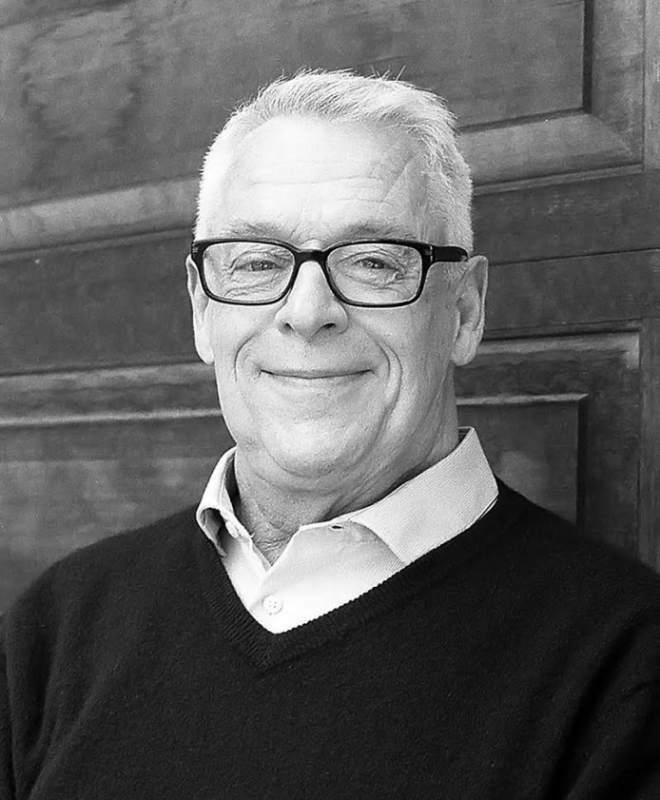 Cleve Jones, the San Francisco-based activist who created the AIDS Quilt and co-founded the AIDS Foundation, will speak at Hanna Boys Center on Monday, Oct. 2, in the latest in the Sonoma Speakers Series. A colleague of Harvey Milk in San Francisco’s Castro during the 1970s, Jones has been an activist for gay and lesbian rights for over 40 years. 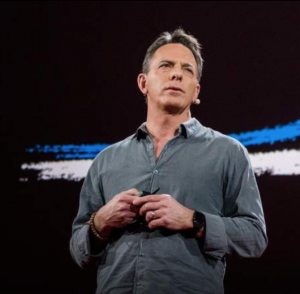 His 2016 memoir, “When We Rise,” was made into a television miniseries earlier this year. He is currently a labor rights advocate for a hospitality union. 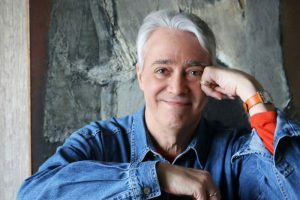 Jones will be interviewed on stage by Dr. Bart Magee, a volunteer with the Shanti Project who provided emotional support to people with HIV/AIDS in San Francisco in the 1980s. Kathy Wickowiki, co-founder and board president of the Sonoma Speakers Series, said that it was irrelevant whether one was a member of the LGBTQ community to be affected by Jones’ work. Over 10 years ago journalist John Markoff was riding in a Volkswagen Touareg through the dusty Arizona desert with several others when the car – festooned with cameras and antennas and sporting “a postapocalyptic vibe reminiscent of a Mad Max movie” – spun out of control as it crested a rise, crashing into the bush. Perhaps that was to be expected: after all, no one was steering. It was an early driverless car, taking part in a Pentagon-sponsored challenge to design and build such cars for the military. Today, driverless cars have become almost mainstream, in concept at least, even if they are not as universal as Google and Uber would like to see. In fact, they missed the Pentagon’s goal of putting a third of its vehicles on the road without drivers by 2015. The incident kicks off Markoff’s latest book, “Machines of Loving Grace: The Quest for Common Ground Between Humans and Robots,” which will form the centerpiece of his appearance at the Sonoma Speakers Series on Monday, Feb. 6. Dan Schnur’s path to the Hanna Boys Center stage for next week’s Sonoma Speakers Series discussion of the media and Donald Trump is different than most of the guests heretofore in the six-month old, home-grown intellectual salon. For one thing, he comes not from inside the media, but from inside politics. He has been one of California’s leading political and media strategists, having worked on four presidential and three gubernatorial campaigns – all for Republicans, from Ronald Reagan to Pete Wilson, George H.W. Bush to John McCain. But when the subject of his political allegiance comes up, he’s quick to set the record straight. The football metaphor reveals one of his current roles, as a professor in USC’s Annenberg School of Communications (where football is big); he’s also an adjunct at UC Berkeley among other advisory roles. “I tell my students that politics is too important to be left to the politicians,” he said, encouraging them to understand politics even if they pursue other career goals. 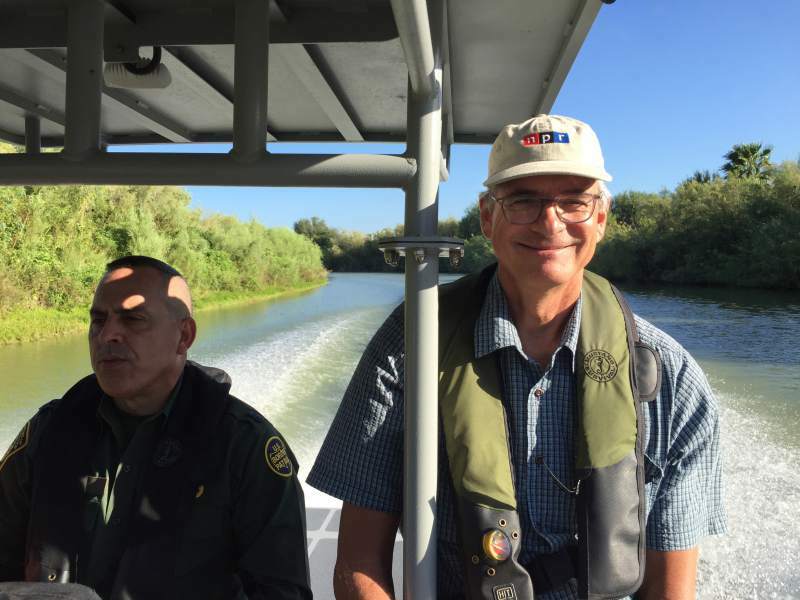 A year ago, few would have expected NPR border-correspondent John Burnett’s hotly anticipated speaking appearance in Sonoma. 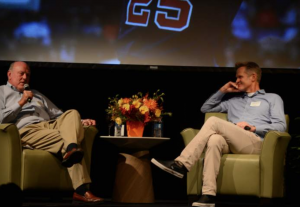 But much has changed since the summer of 2016, as Burnett takes the stage at Hanna Boys Center on June 12 as the latest guest of the Sonoma Speakers Series. The first Sonoma Speakers Series event, last October, featured a pair of long-time National Public Radio political commentators musing about the division in the electorate just a few weeks ahead of the Nov. 8 general election. But Neal Conan and Ken Rudin largely discounted Republican nominee Donald Trump’s chances of actually winning that election, given the extreme positions he took on so many issues. John McChesney’s daughter was up from Los Angeles in August, visiting her father in Bennett Valley, when she started talking about a recent storytelling event she’d attended put on by The Moth, a popular spoken-word program featured in podcasts and on radio. 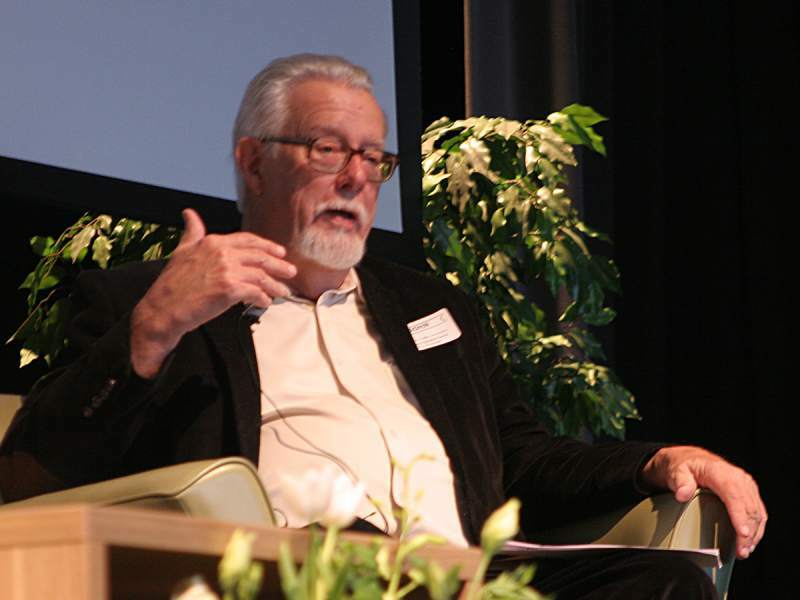 That conversation planted the seed that became the Sonoma Speaker Series, co-founded by McChesney, a veteran former National Public Radio correspondent and Sonoma resident Alex Chadwick, a longtime former NPR host who helped create the “Morning Edition” program. 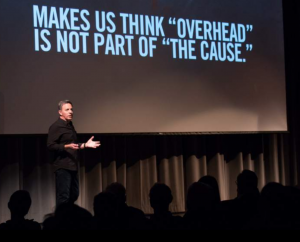 The series kicked off in October before a sold-out crowd of up to 400 people at Sonoma’s Hanna Boys Center. The pre-election conversation, moderated by McChesney and Chadwick, featured two longtime NPR political correspondents, Ken Rudin and Neal Conan. The Sonoma Speaker Series brings to Sonoma Valley major thinkers and players in the world of politics, art, celebrity, sports, science and inspiration. 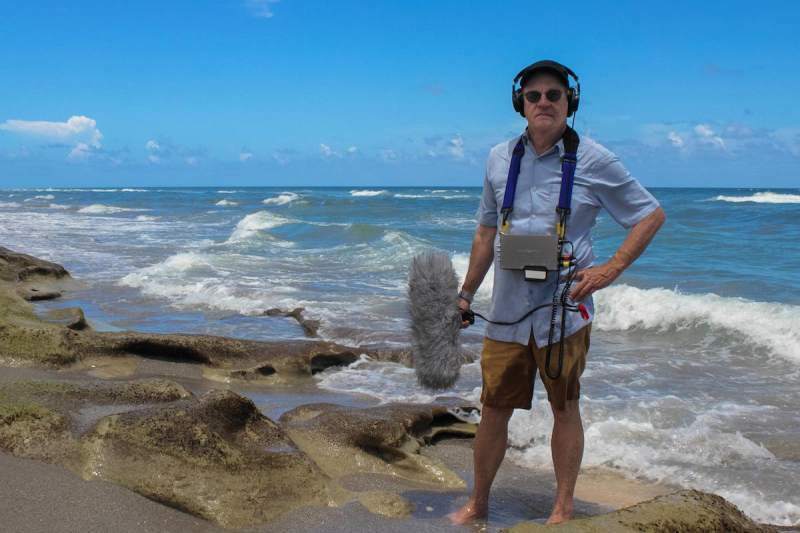 On Dec. 5, the Speaker Series will host Randy Thom, Oscar-winning director of Sound Design at Skywalker Sound, to deliver a dazzling multimedia presentation on the magic and art of movie sound production. 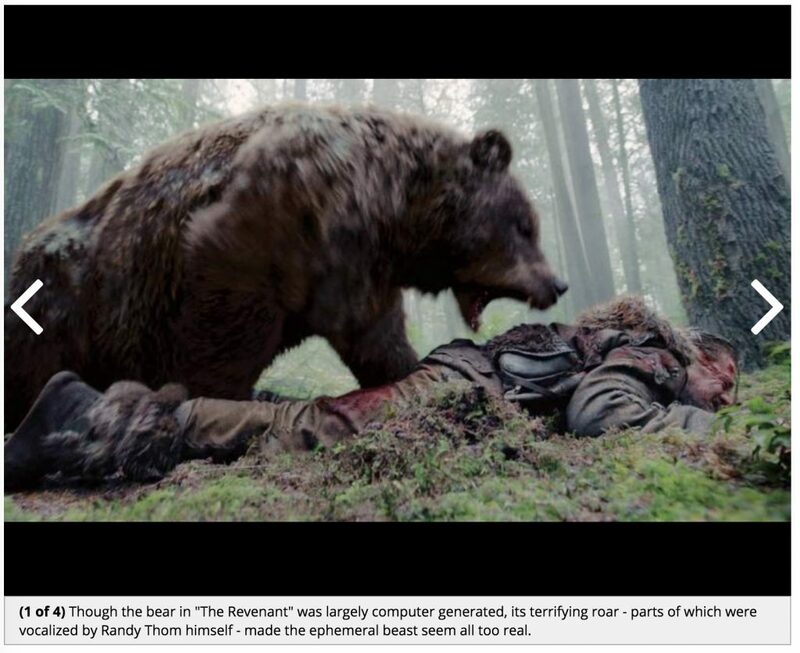 Thom’s sound design for a film often begins before shooting starts and becomes an integral part of the storytelling and emotional impact of the film. Thom has worked on Apocalypse Now, Star Wars, The Incredibles, The Revenant, Forest Gump and The Right Stuff, among others. National Public Radio alum call themselves “Nippers,” and there’s a whole colony of them showing up in Sonoma this month. Leading up to the November presidential election, an all-star cast of NPR voices comes to the stage for the first of the planned Sonoma Speakers Series, “In Conversation with Neal Conan and Ken Rudin,” on Monday, Oct. 17. On the Hanna Boys Center stage, starting at 7 p.m., Alex Chadwick will interview Conan and Rudin in conversation about the ups and downs, ins and outs of this very unusual political year. Just seeing those names in print is strange: they are far more often heard than read. 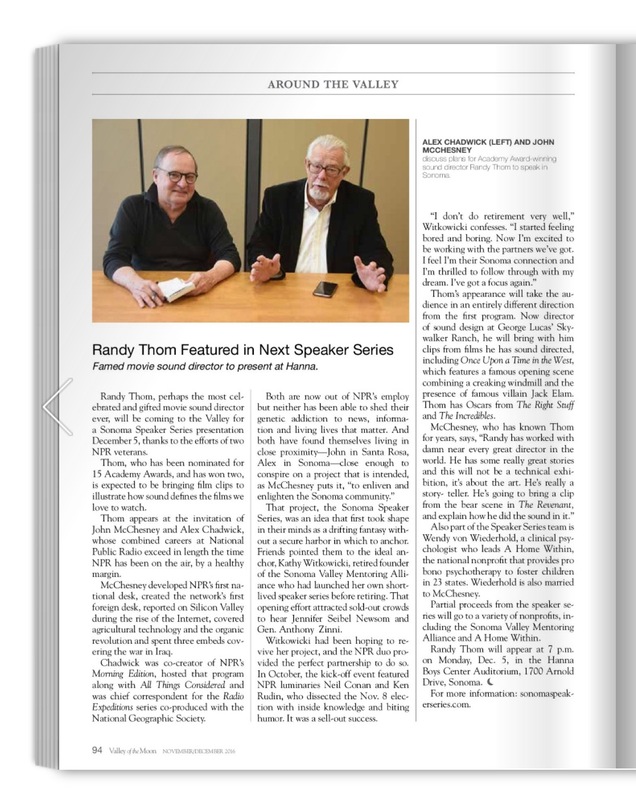 The same applies to the other broadcast veteran that Kathy Witkowicki has recruited for the Sonoma Speakers Series, John McChesney – the former "Talk of the Nation" host who now lives in Sonoma. Ever since Kathy Witkowicki’s retirement last year from the Sonoma Valley Mentoring Alliance she founded some 20 years ago, a popular cocktail party topic has been, “I wonder what Kathy is going to do next? The secret is now out. Long a fan of San Francisco’s City Arts and Lectures series, Witkowicki has decided to focus her attention on bringing Sonoma its own speaker series. 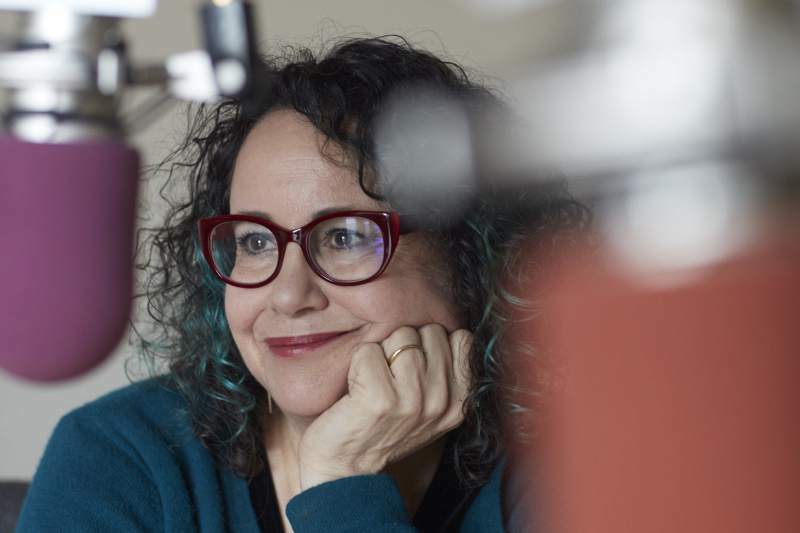 She has joined forces with two award-winning NPR journalists: Alex Chadwick and John McChesney, who have taken up residence in Sonoma County following their retirements from NPR.